Binge Eating VS Binge Eating Disorder: What's the Difference? Binge Eating VS Binge Eating Disorder: What’s the Difference? Binge eating is a common activity done by many. Sad, stressed, or for whatever reason, people find comfort in food. Though the term “binge eating” may be a casually used term to describe something one might do to de-stress from a stressful day, there is another face to it. It shares a similar name to a mental illness called Binge Eating Disorder; however, both the latter and the former differ in many ways. As your medical staffing in Oklahoma, we differentiate the difference between the two in hopes to shed light and spread awareness on the truth of BED. Out of all the mental illnesses, eating disorders have the highest mortality rate. 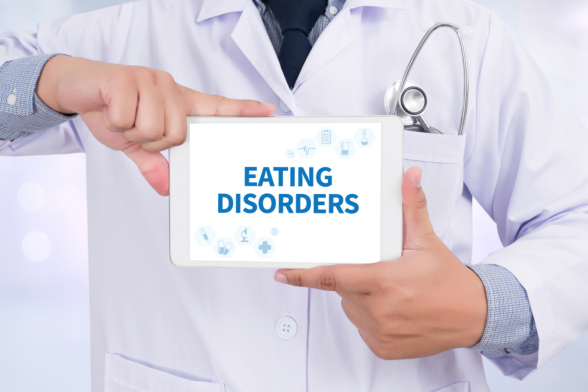 In a national survey, it was found that 30 million people of all ages, income levels, races, and genders in the US suffer from an eating disorder. Binge Eating Disorder (BED) is known to be the most common eating disorder in America. It affects three times the number of people suffering from anorexia nervosa and bulimia combined and is most common in women. According to the fifth edition of the Diagnostic and Statistical Manual of Mental Disorder, a contributing factor to BED is genetic influences. BED is known to occur in similar frequencies among industrialized countries (i.e. United States, Australia, and many European countries). Consequences of BED include low life satisfaction, adjustment problems, medical and mortality morbidity, and obesity. A BED episode is characterized by eating an amount that is more than an average person would eat in a discrete period of time, and having a lack of control during this episode. There is no uniform treatment plan when dealing with BED because it differs with what works for a person. Treatment is sure to include therapy–individual, group, or a combination of both–and may even include a prescription to take medication for depression. A nutritious diet and other healthy ways to get back to a tip-top shape and state of mind may also be done. Because the approach is required to be person-fit, it poses a great advantage on the part of the individual seeking treatment. Network Medical Staffingunderstands this important journey to a healthy mind and body. As your medical staffing solutions in New York, we may have the staff of professionals you are looking for. This entry was posted in Disorders and tagged Binge Eating, Symptoms of Binge Eating, Treatment of Binge Eating. Bookmark the permalink.